Another rather disappointing total for today, I spent time with family so I didn't have as much time to read as I thought I would. Wow, looks like you are making great progress. I have several Doyle books on my tbr for this year. Have a great weekend & good luck with your reading. Thank you, the Sherlock Holmes books are quite short so they fit this readathon well!! 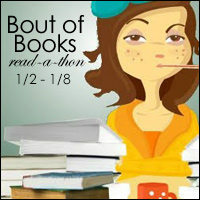 Bout of Books 18 Wrap Up!